I was recently tasked with automating a grant submission and approval workflow process for a non-profit corporation, as illustrated in the figure below. When there is disagreement among the reviewers as to whether a project should be funded, a conference call must take place between the reviewers in order to facilitate a consensus. The scope of the project initially dictated that we simply add-in the capability to schedule a call and send out meeting invitations. However, when it came time to actually build out this feature, I realized that we could take it one step further, “bring the awesome”, and use the Twilio API to integrate VOIP conference calling directly into the app. Twilio is a cloud-based service that has both client-side and REST-based API’s for adding telephony and SMS features to your desktop and mobile apps. It can also bridge IP and regular voice communications. 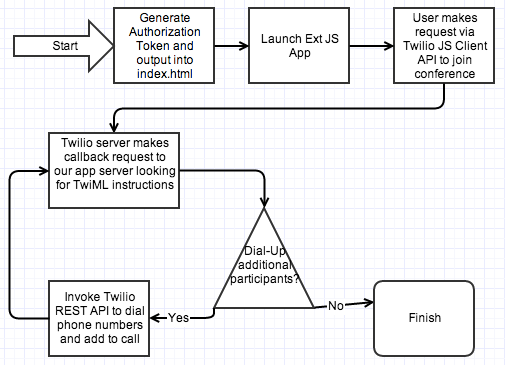 There are three components to every Twilio app. Check out Druck-I.T. 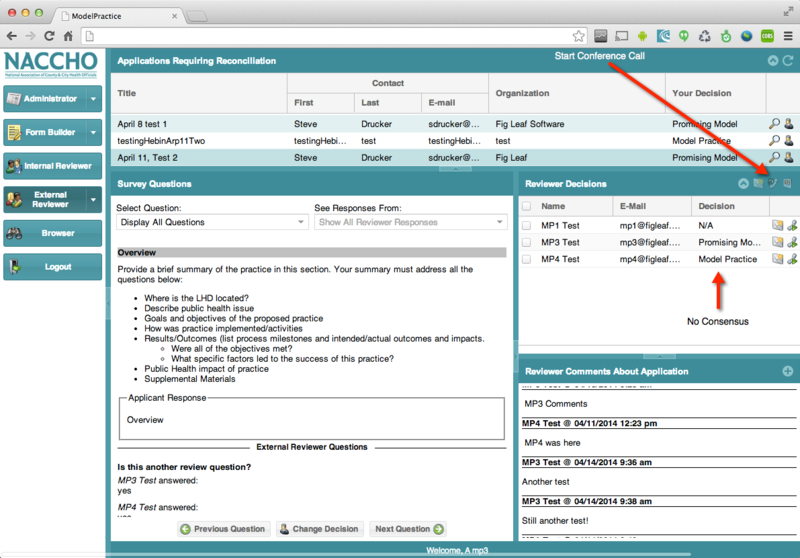 for the full blog post and to learn about generating a secure passkey, creating a UX to place calls, and handling Twilio REST callbacks!